MATTESON—(ENEWSPF)—August 5, 2017. 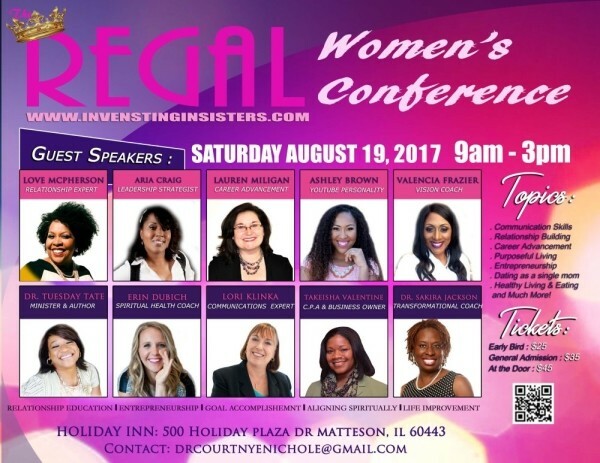 The REGAL Women’s Conference will be held from 9 a.m. to 3 p.m. on August 19 at the Holiday Inn Chicago Matteson Conference Center, 500 Holiday Plaza Drive. 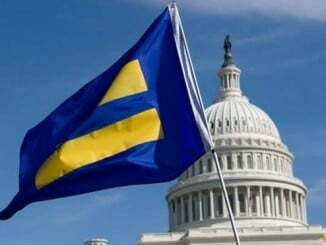 Relationships are at the center of human life. The focus of the conference is relationship, with God, others & most importantly yourself! The REGAL Women’s Conference, gives you the opportunity to envision the life you want to lead as a significant other and a whole woman. 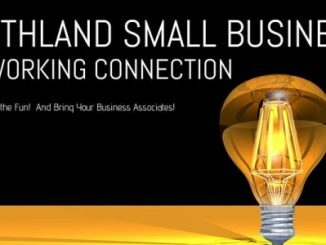 As an attendee you are connected to professionals, monthly workshops and networking opportunities that will consistently encourage your vision with continued support and opportunities for growth. Come prepared to have hands on development workshops and to meet engage with positive women that want to invest in others! List of ongoing events and opportunities after the conference!